By Jennifer Burcke on June 8, 2012 Visit Jennifer's Website. I’m not sure where the last month has gone. It seems like I blinked and it was over. 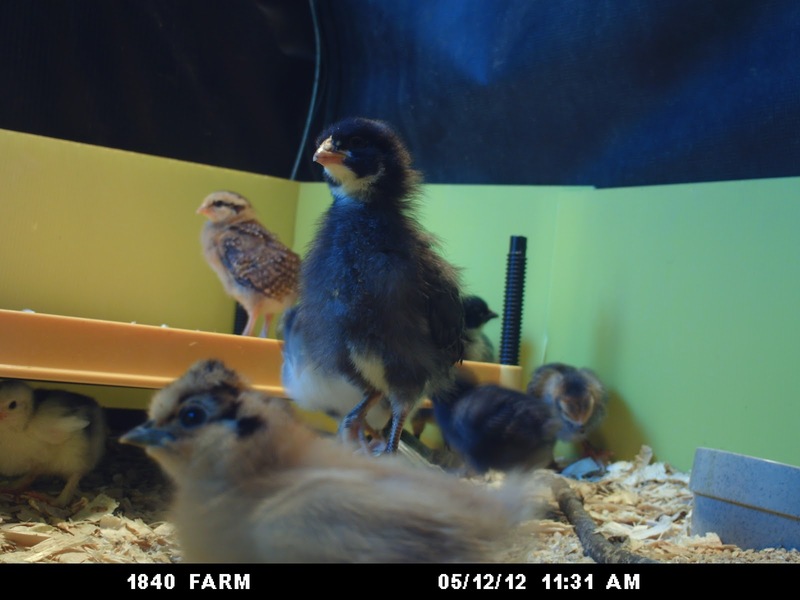 As I sit here writing this post, I can hardly believe that our latest batch of baby chicks aren’t really babies anymore. It’s true. While they are only five-weeks old, they barely resemble the tiny little day-old chicks that arrived at 1840 Farm on the first Tuesday in May. When they emerged from their cardboard shipping box, they were helpless. As I lowered them into their brooding pen, I had to dip each chick’s beak in fresh water in order to encourage them to drink. Today, they are far from helpless. They no longer need my direction to find water or food. In fact, they seem to spend most of their time finding shavings, food and grit that they can scratch directly into the waterer.I don’t mind. These chicks won’t be chicks for long, so I plan on enjoying this stage while it lasts. I’ll marvel at how quickly these chicks are becoming adolescents. I’ll find it entertaining to watch as their personalities emerge and their flight feathers do the same. Already, they are beginning to resemble the grown hens they will become. When that day arrives, it will be difficult for me to remember them as tiny day-old chicks. Fortunately, I’ll have hundreds of photos and videos to remember them by. Like any proud mother hen, I find myself wanting to share these photos and videos with anyone who will indulge my maternal pride. I’ve shared them with followers on Facebook and my blog. Now it’s your turn to look back with me at the first month of A Year in the Life at 1840 Farm. Day one was filled with the excitement that accompanies a batch of baby chicks. Everything about that first day was memorable, from the phone call that announced their arrival at the local post office to the moment that we first saw them in their shipping box. Watching them as they took their first tentative steps was a moment that the entire family took part in. The BirdCam captured each step, including these taken by one of our Dominique chicks. 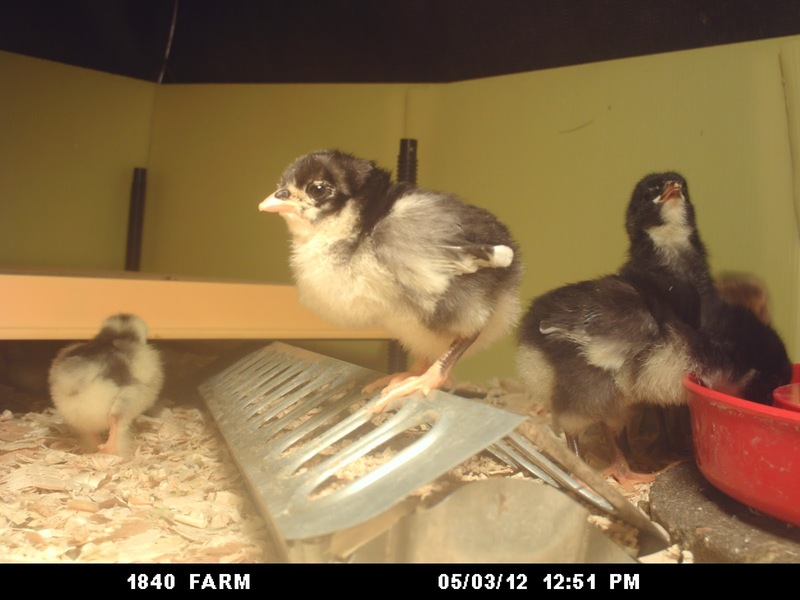 On their second day here at 1840 Farm, they had already become bold enough to climb on top of their brooder. Our Welsummer chick was the first to make this discovery. She’s been running this flock of chicks ever since. 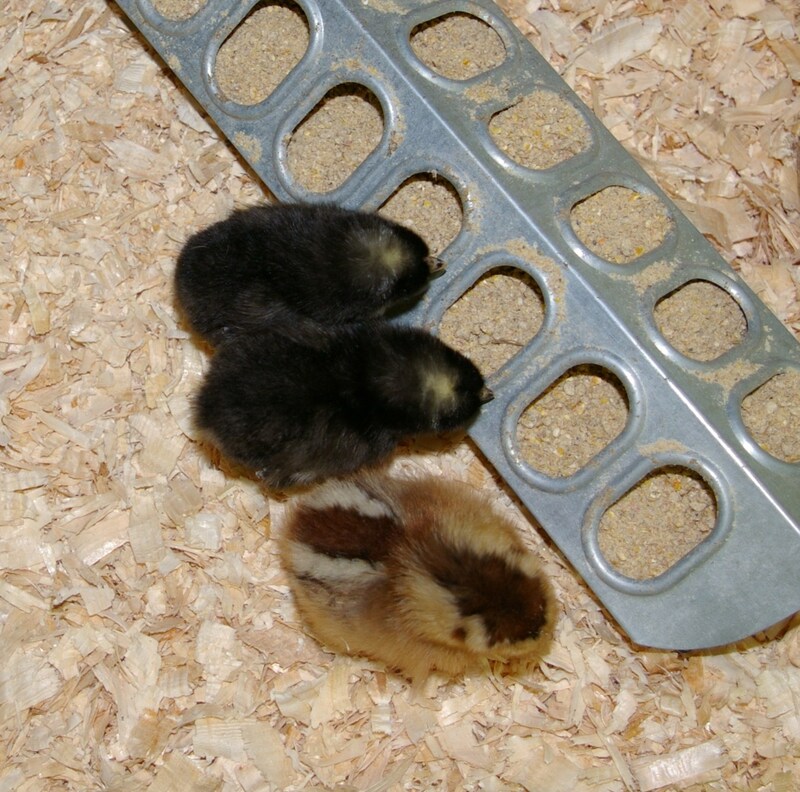 While she took her position at the top of the brooder, the other chicks looked to find their own way. They explored the brooding pen and their own avian abilities. It was amazing to watch as they tested their tiny wings and practiced leaving the ground right in front of the camera. A few short days later, the Welsummer had decided to give the BirdCam a much closer look. She began to watch it closely as if she was expecting for it to challenge her position as Queen of the Flock. Flying lessons began to be a very common occurrence when the chicks were one-week old. They were constantly flitting around the brooding pen. They seemed to be taking turns as they practiced their skills and strengthened their wings. Their personalities began to bloom shortly after. It became clear that the chicks were becoming individuals as unique as the farmers who tended to them. Some were shy while others seemed to enjoy posing for the camera. 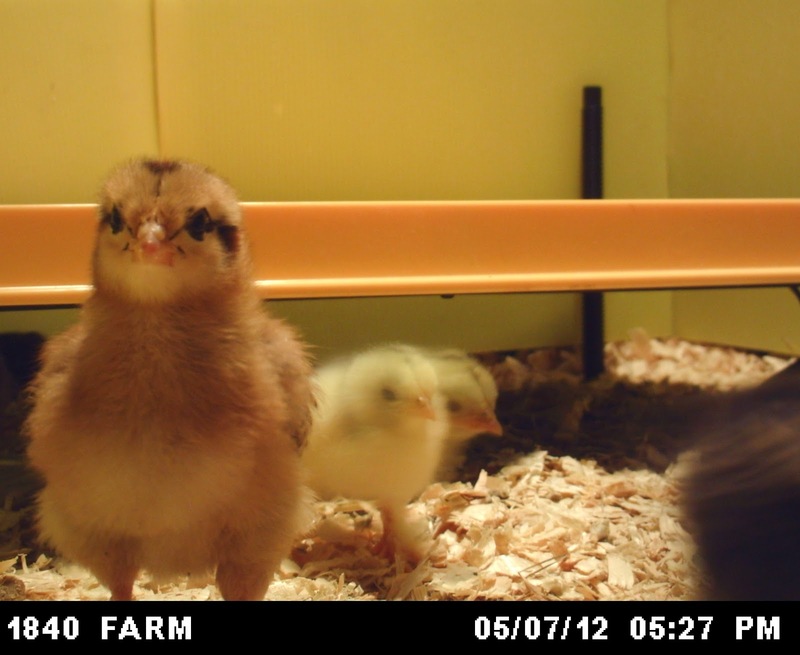 Clearly, we had a few chicks that were ready for their close-up. Some of the chicks were ready for the spotlight. Others were ready to become a bit more adventurous. They took to pecking at the camera as it filmed them. As the month passed, we continued to watch the chicks as they continued to watch us. Their first month ended with a day spent outside on a beautiful afternoon. We chick-proofed a covered run and allowed them to spend a few hours under the shade of a maple tree. The chicks took tentative steps on the soft green grass and huddled together until they had established that their environment was safe. Once they had determined that being out of the brooding pen was a positive experience, they began to explore. With each step, they exerted their independence. They began to scratch at the ground and nibble at the blades of spring grass. I watched and tried to commit the scene to memory. It seemed to me that they were having a sweet taste of the adventure of life that was to come. There are so many first steps for them to experience in the coming months, and I am happy to have a front row seat. I’ll remind myself to take photos and videos along the way in the hope that I won’t forget the experience. 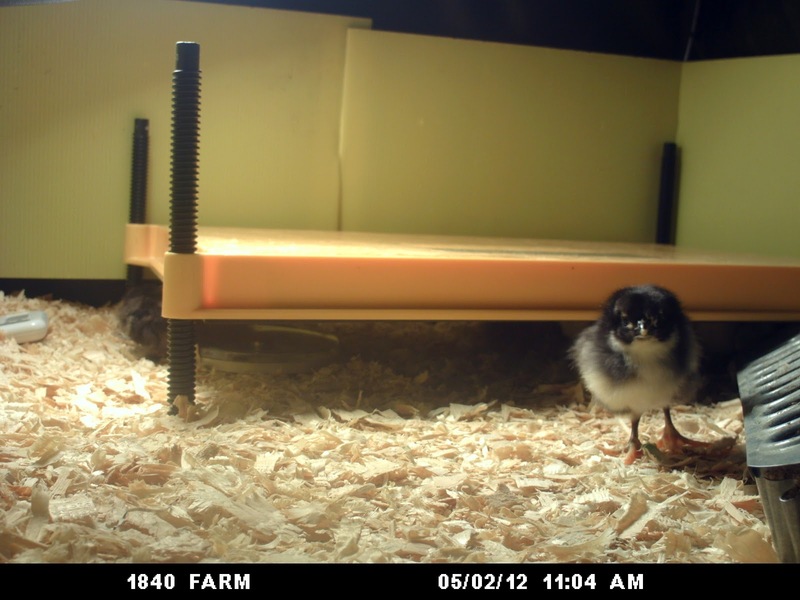 I’ll proudly share the pictures and videos with you so that you can watch as our chicks grow over the next year. After all, they won’t be chicks for long. Do you have photos and videos of your flock to share? Visit Community Chickens on Facebook to share them with me and the rest of the community. You’re always welcome at 1840 Farm. To make sure that you don’t miss any of the excitement, giveaways or unending supply of cute photos of baby chicks during the A Year in the Life at 1840 Farm Series, follow us on Facebook to read the daily news from the coop at 1840 Farm. 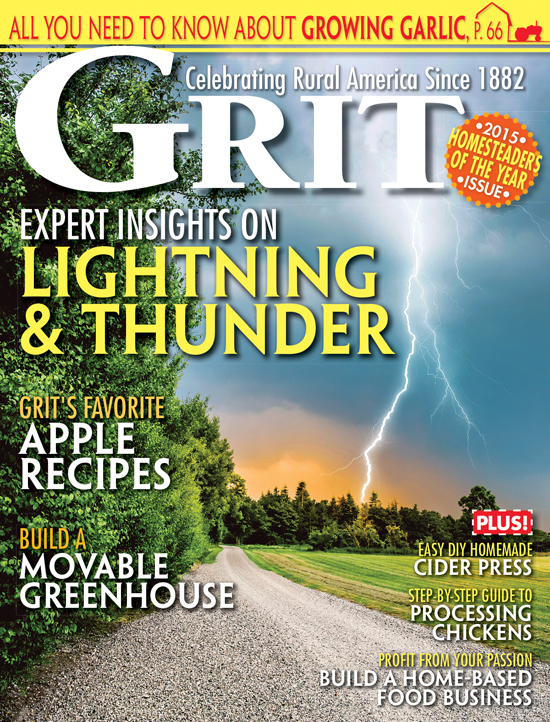 For more than 130 years, GRIT has helped its readers live more prosperously and happily while emphasizing the importance of community and a rural lifestyle tradition. Why Are Rats Such a Concern?